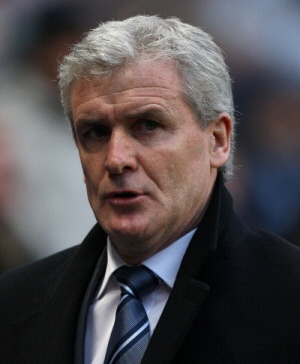 Mark Hughes? Or a shaven Billy Connolly? After being out of work for two months, it seems that former Manchester City boss Mark Hughes may be back in management sooner rather than later. The Turkish FA have apparently contacted Hughes’ agent to discuss installing him as the new manager of their national team. The post was freed up when Turkey’s long-serving manager Fatih Terim resigned after failing to qualify for the 2010 World Cup. However, current Russia manager Guus Hiddink (who’s contract runs out in the summer) is also a candidate for the Turk’s vacant hotseat, so ‘Sparky’ may find himself having to wait a little longer to find employment.